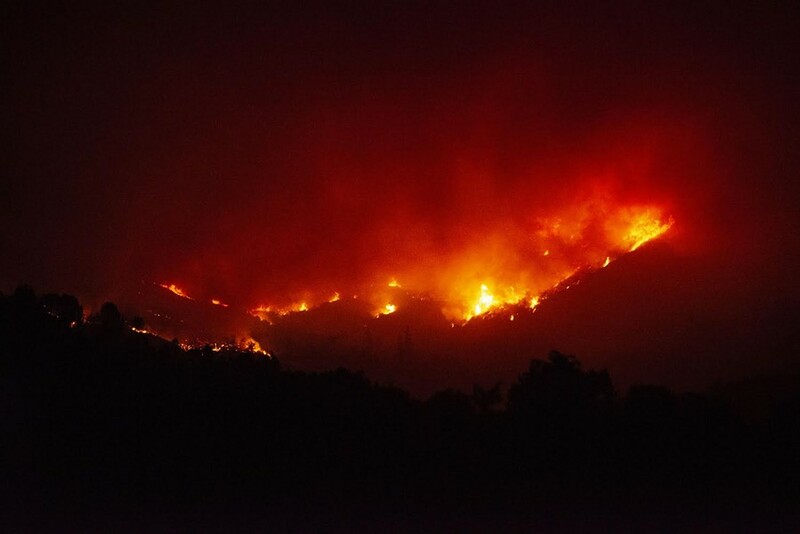 Fire burns the hills north of Upper Lake on Tuesday night. Local firefighters have joined thousands of others from around the state to battle a series of wildfires raging to the south and east of Humboldt County that combined have burned more than 200,000 acres and taken at least six lives. Currently, 32 firefighters from nine Humboldt County agencies are assisting suppression efforts, contributing personnel and equipment to battle the devastating blazes. For the latest information on California wildfires, including evacuations and road closures, visit the CalFire incident website: www.fire.ca.gov/current_incidents. 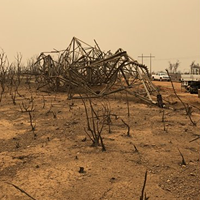 As we watch and hear of the continuing devastation caused by multiple wildfires throughout California, and in particular the northern portion of our state, please be aware of the contributions of local fire personnel combating these fires. Currently, Humboldt County Fire Agencies are actively assisting areas being ravaged by the seemingly explosive escalation of wildfire devastation. Local fire agencies are contributing personnel and fire engines to assist CalFire in protecting communities suffering severe depletion of fire resources. These agencies are assigned to active incidents in Mendocino and Lake Counties, as well as providing fire station coverage in Del Norte, Humboldt, and Mendocino Counties. Due to the strong commitment from remaining career and volunteer personnel at their homes stations, local response to emergencies have not been sacrificed. The CalFire burn ban is still in effect. Please do not contribute to additional incidents by violating this ban. If you see a fire, please call 911 immediately! Early notification is vital for keeping fires small.